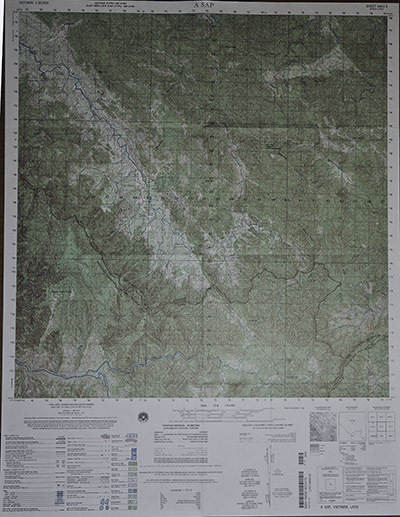 On the left is a sample 1:50,000 scale map sheet. 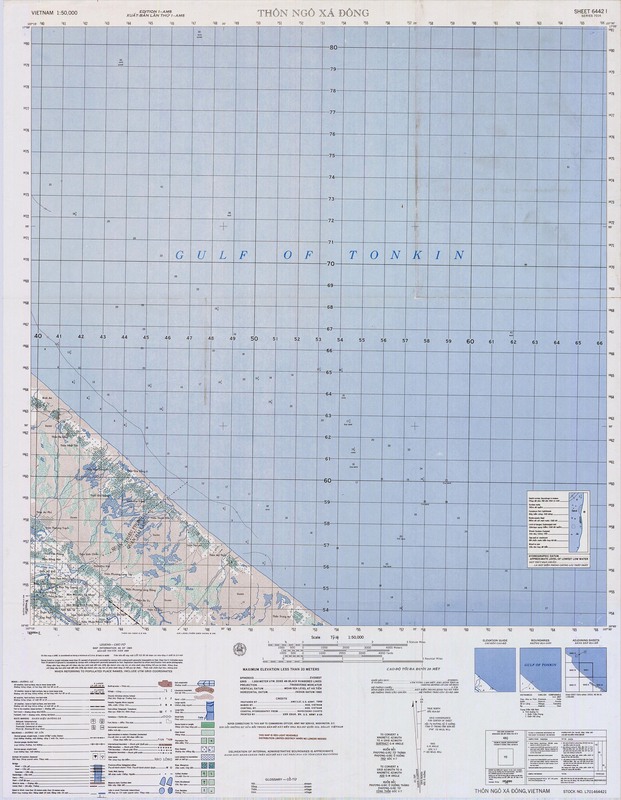 The grids are one kilometer square and a unit would cover no more than one or two kilometers on a typical day. 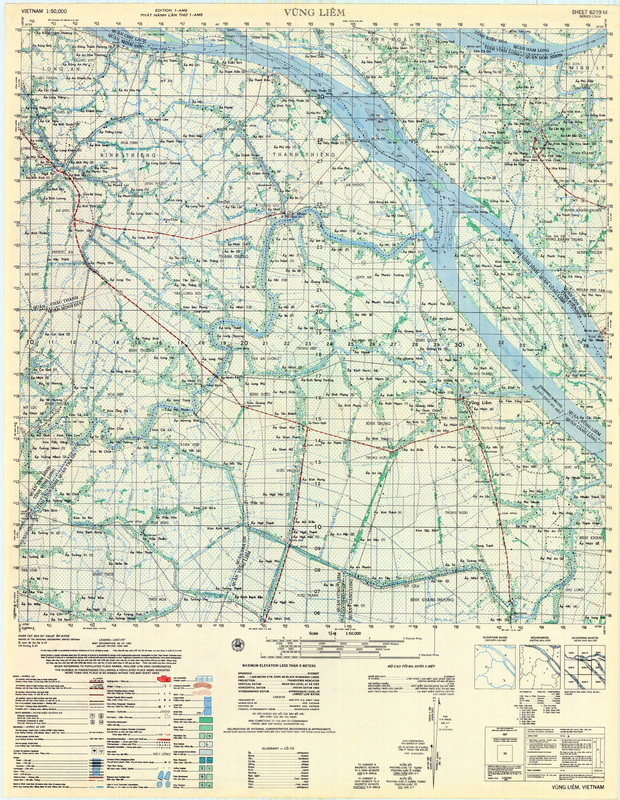 The upper right of a map sheet will have the sheet number such as "Sheet 6442 II." 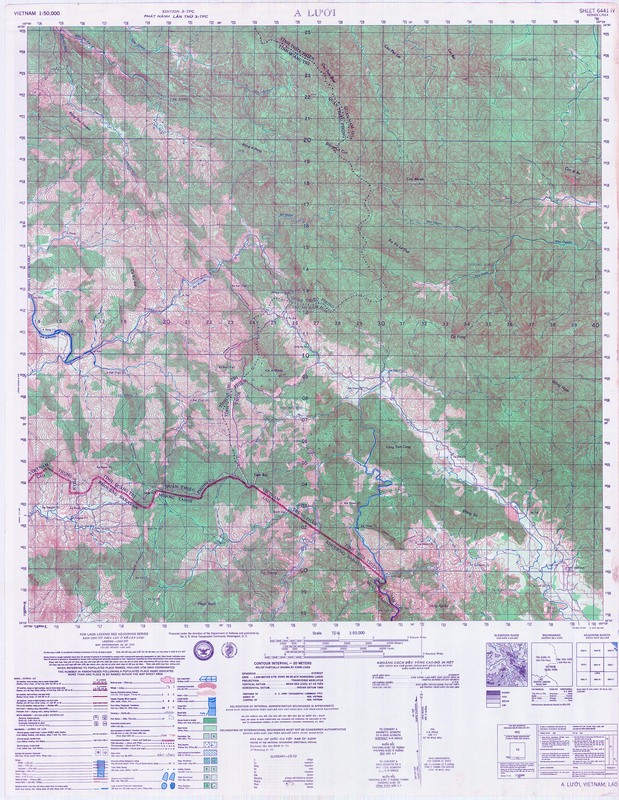 There is a grouping of four maps in the 6442 group as an example: they form a square with 6442 I (top right), 6442 II (bottom right), 6442 III (bottom left), and 6442 IV (top left). 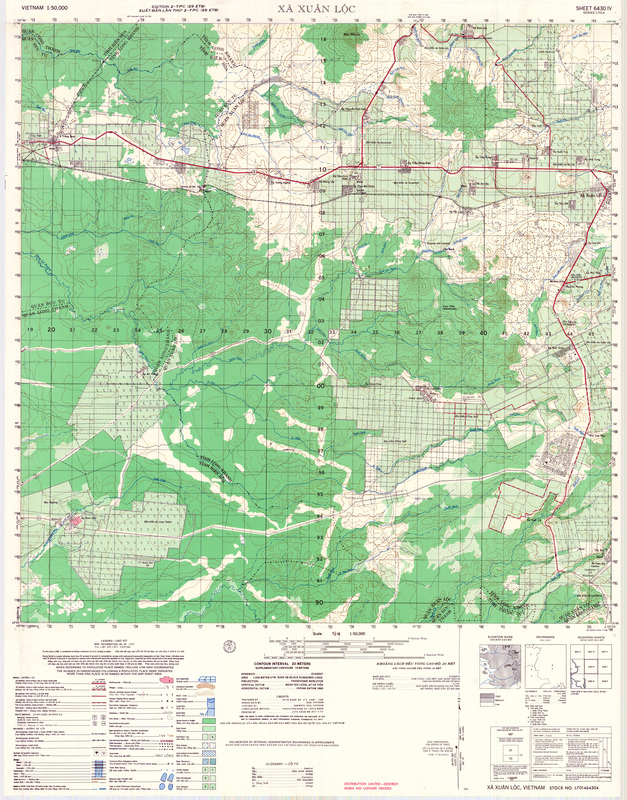 Click on the map description below to see the actual tactical map. 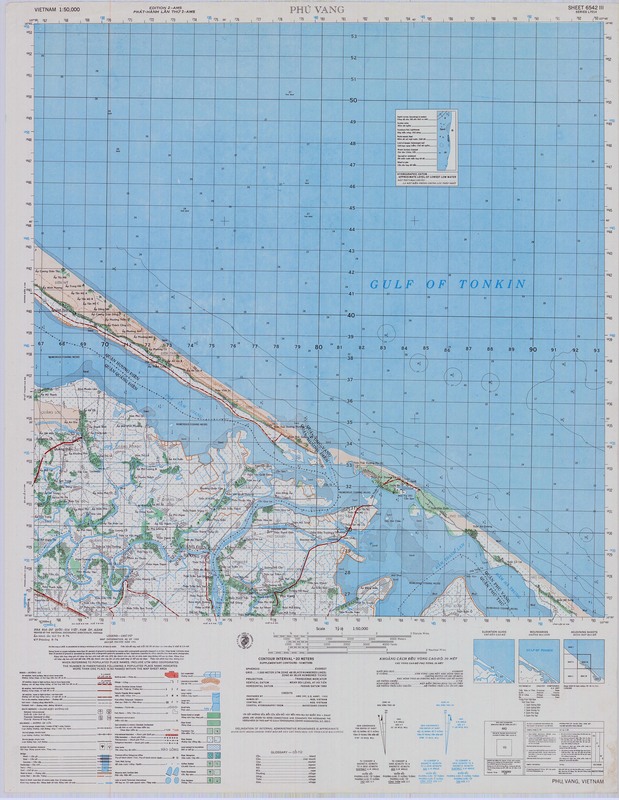 You can zoom your browser to see the details in a grid coordinate - about 400% zoom works well. 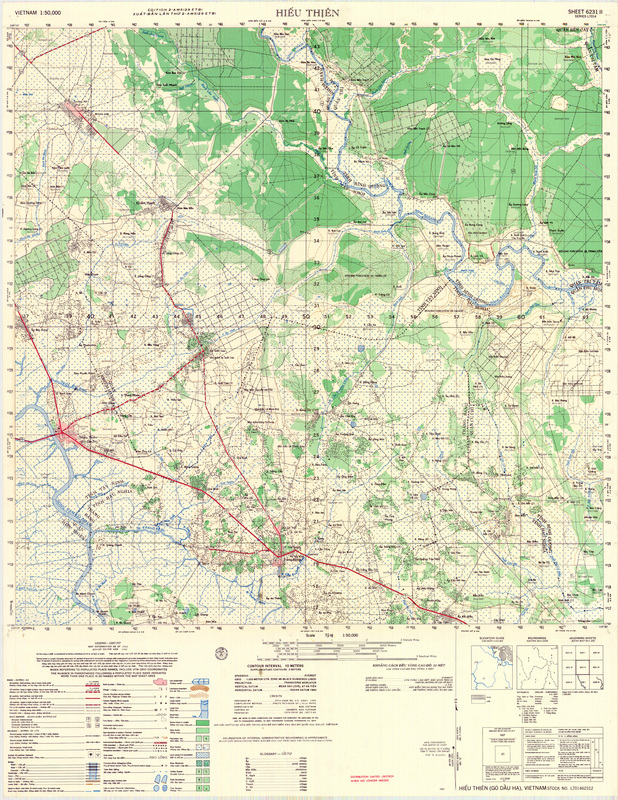 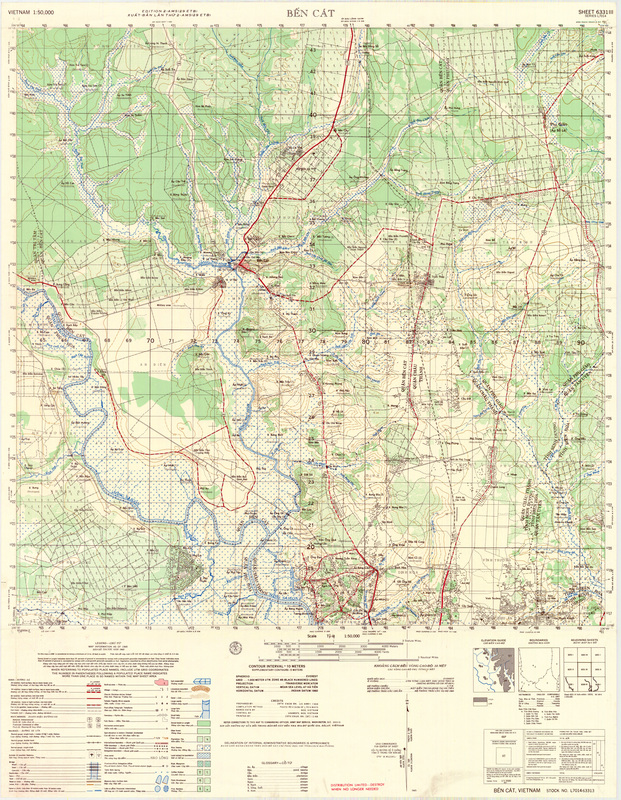 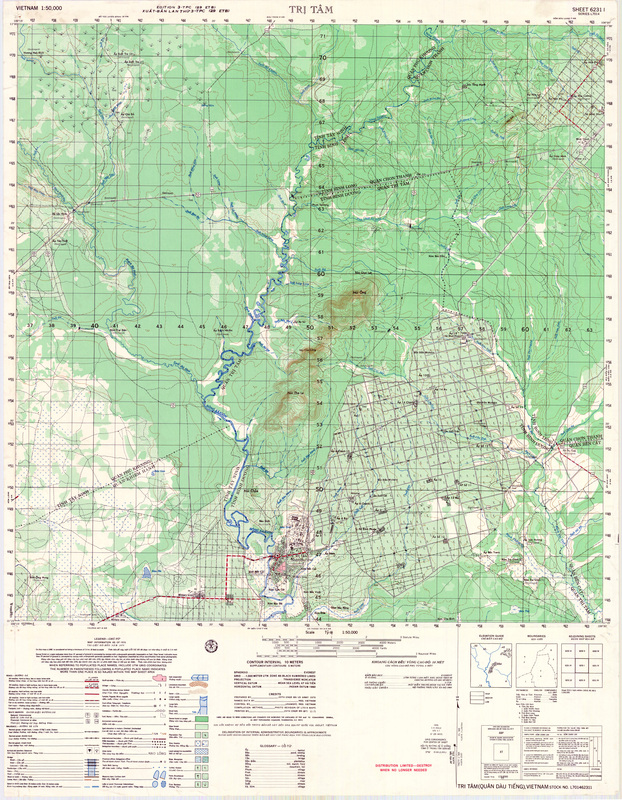 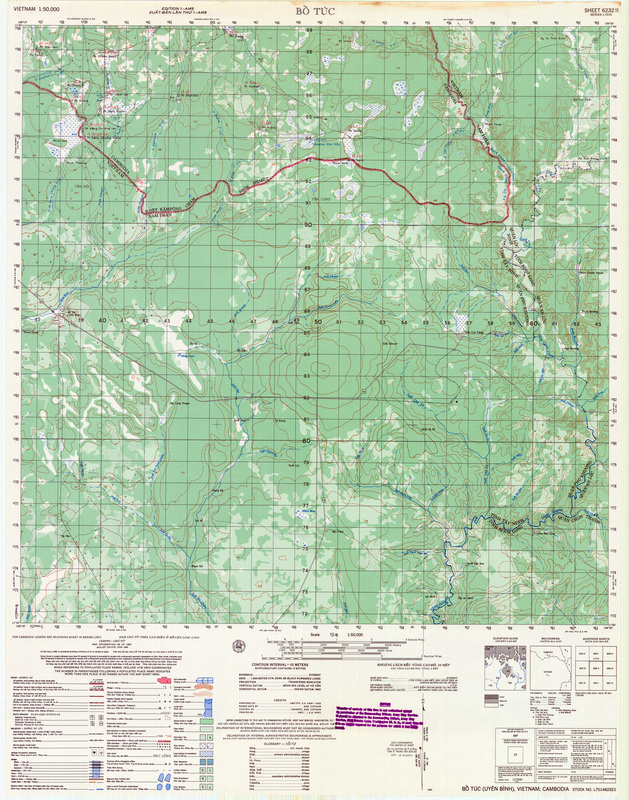 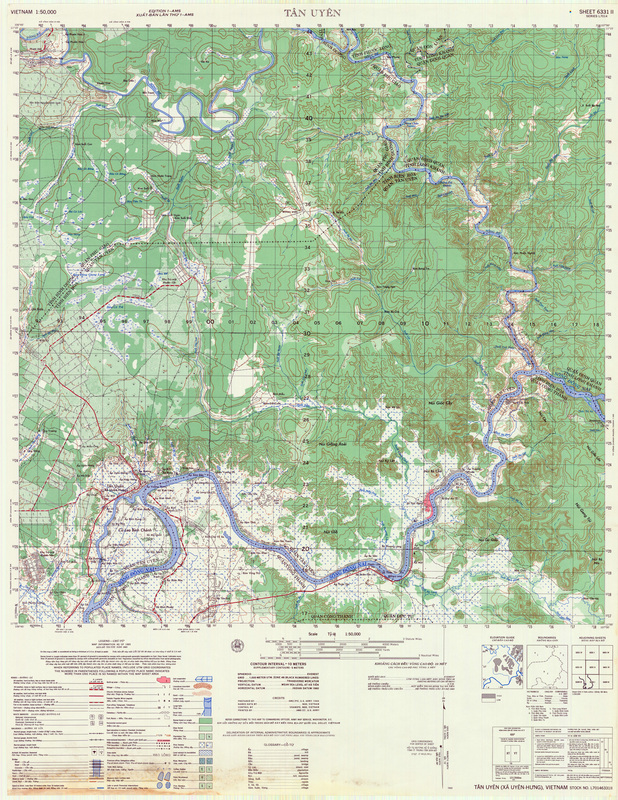 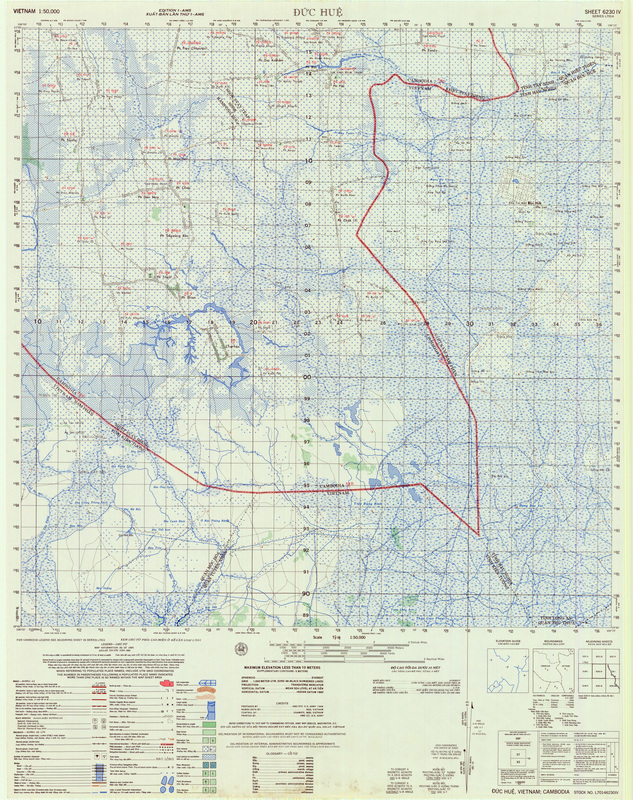 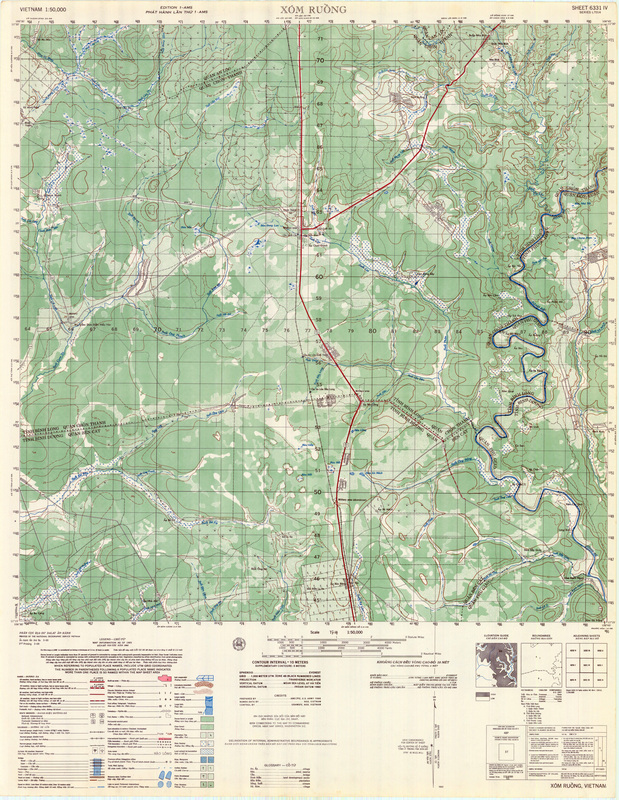 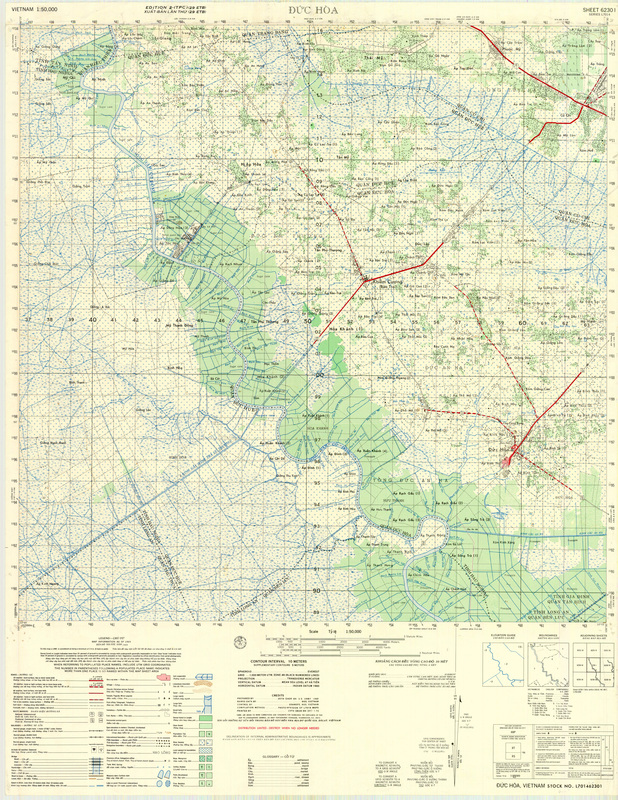 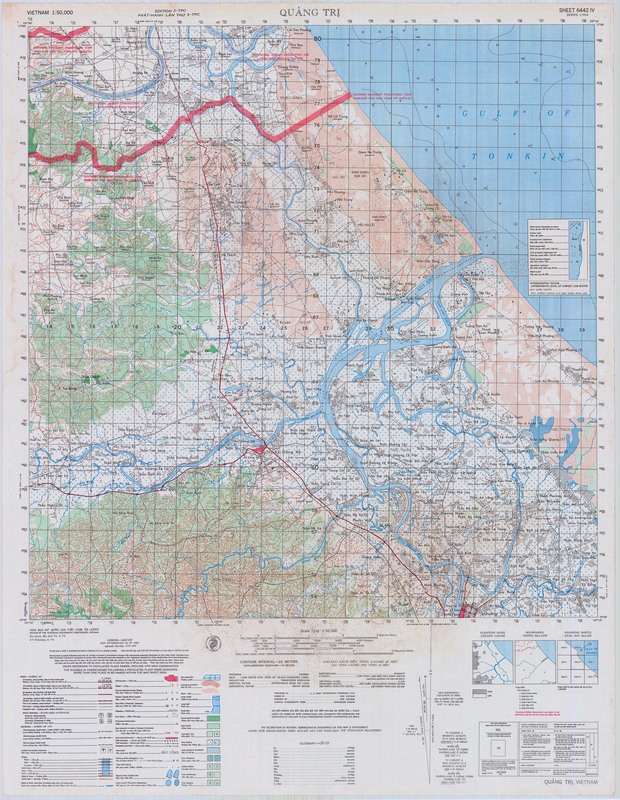 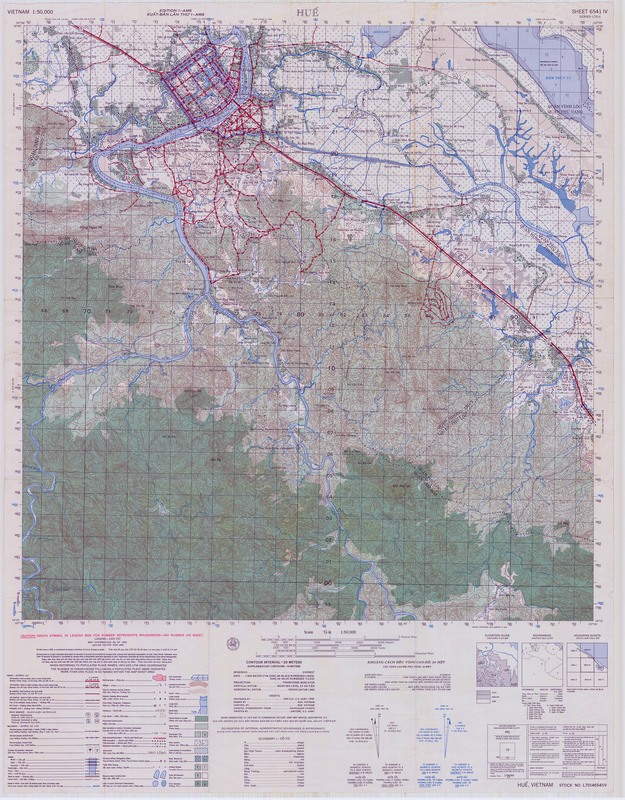 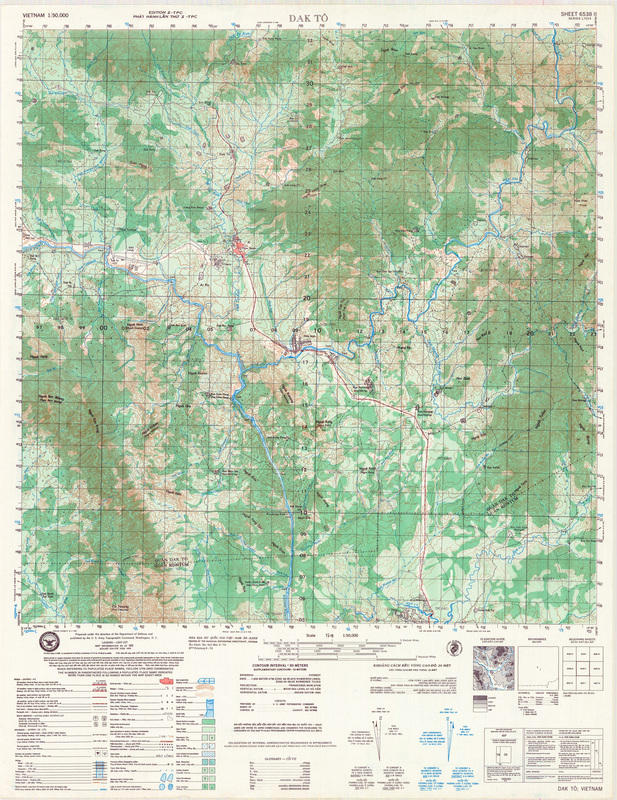 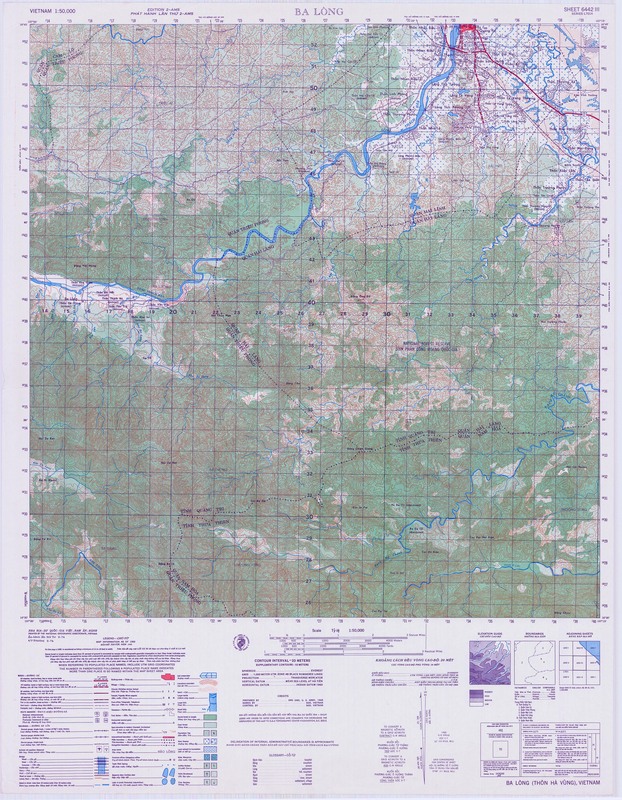 Most of the map sheets used by Charlie Company in 1969 and 1970 are listed in the table below. 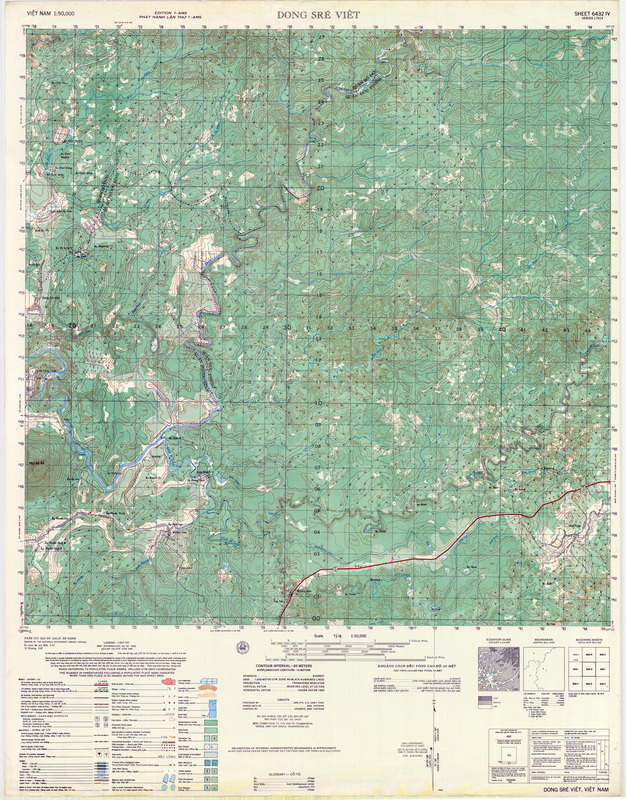 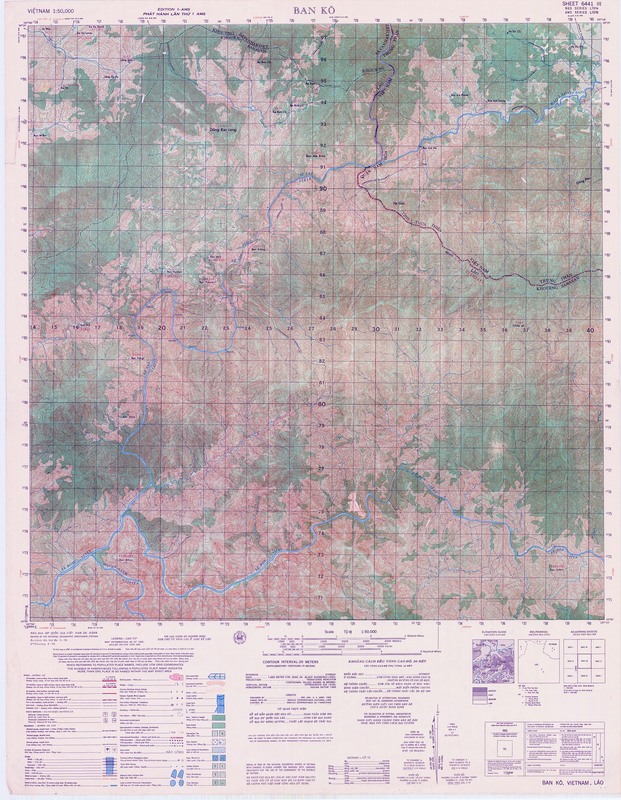 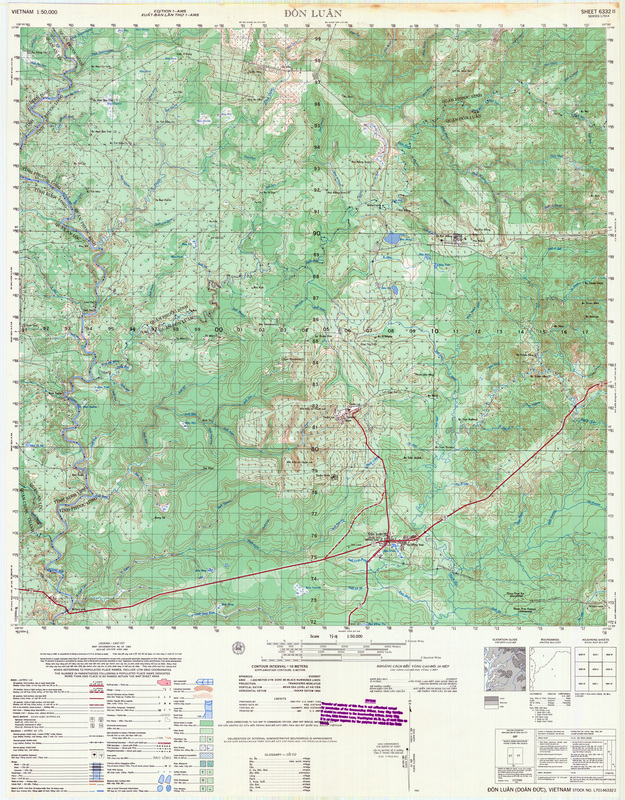 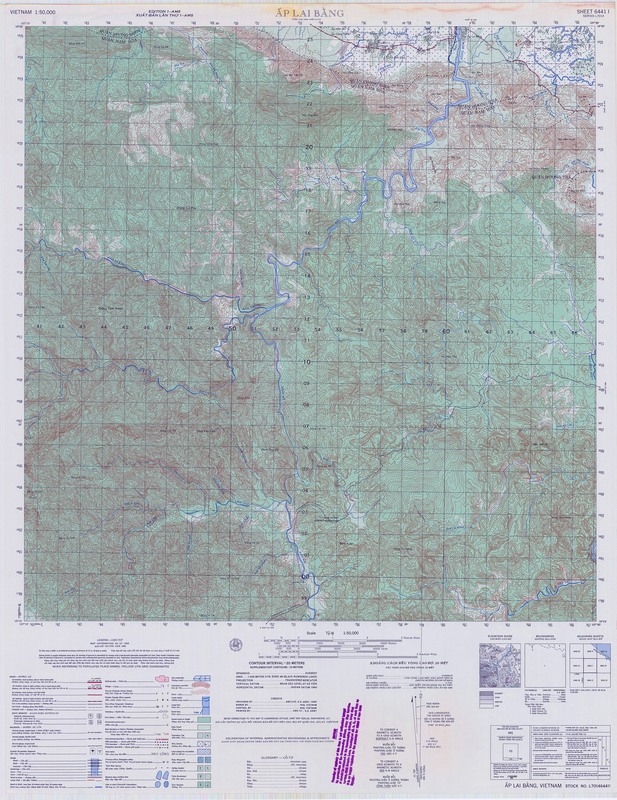 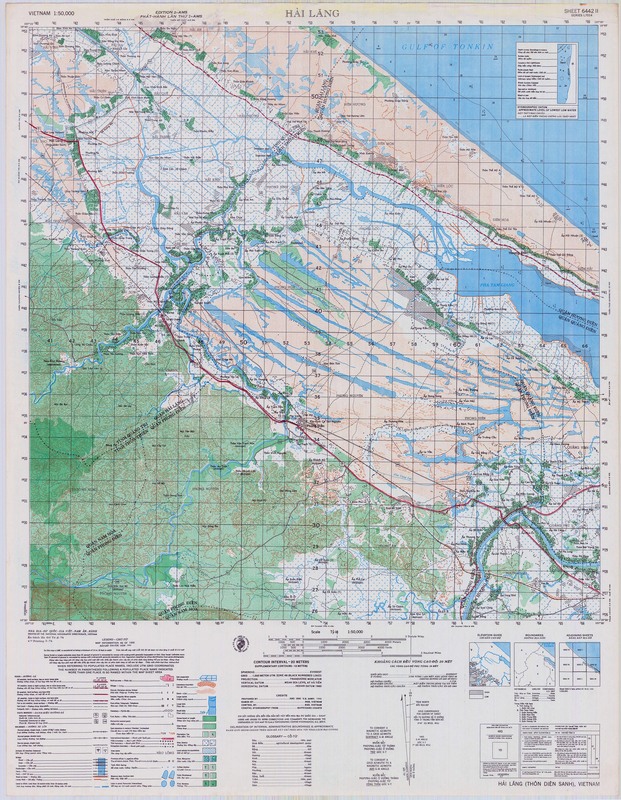 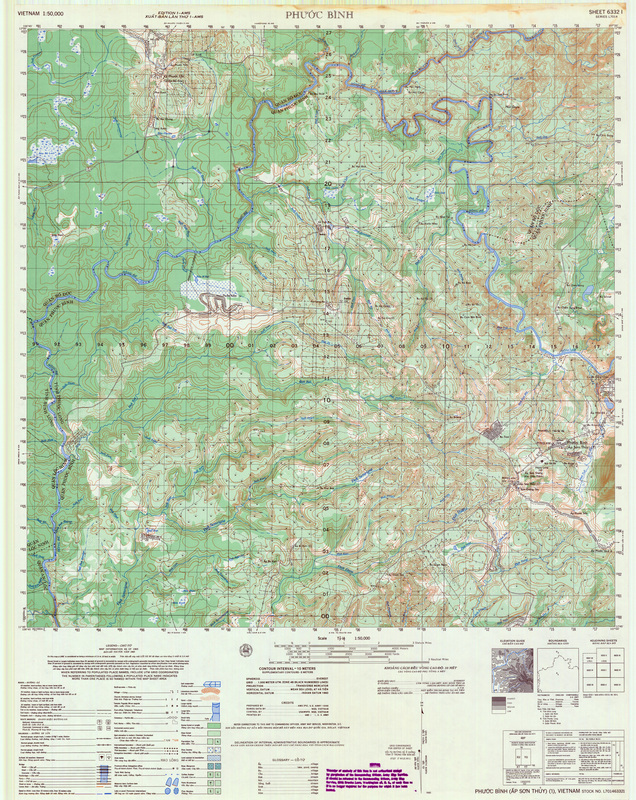 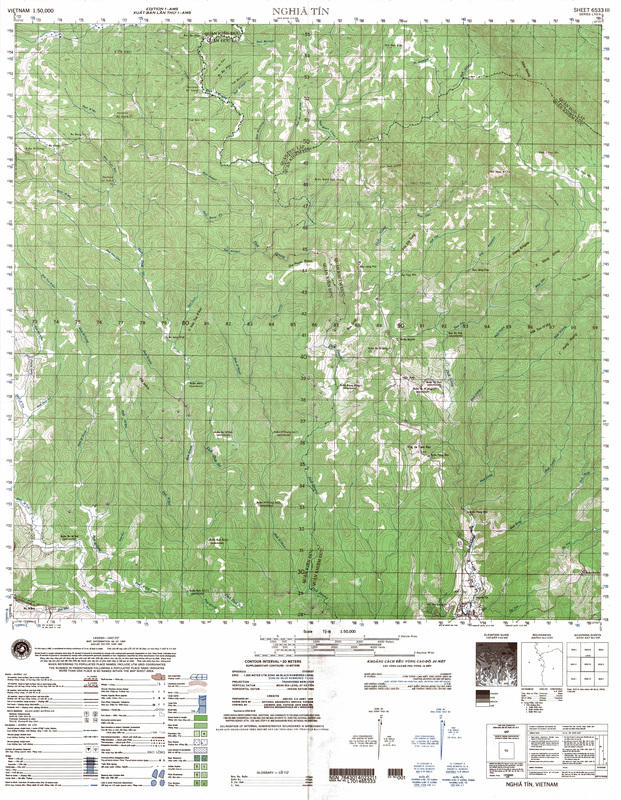 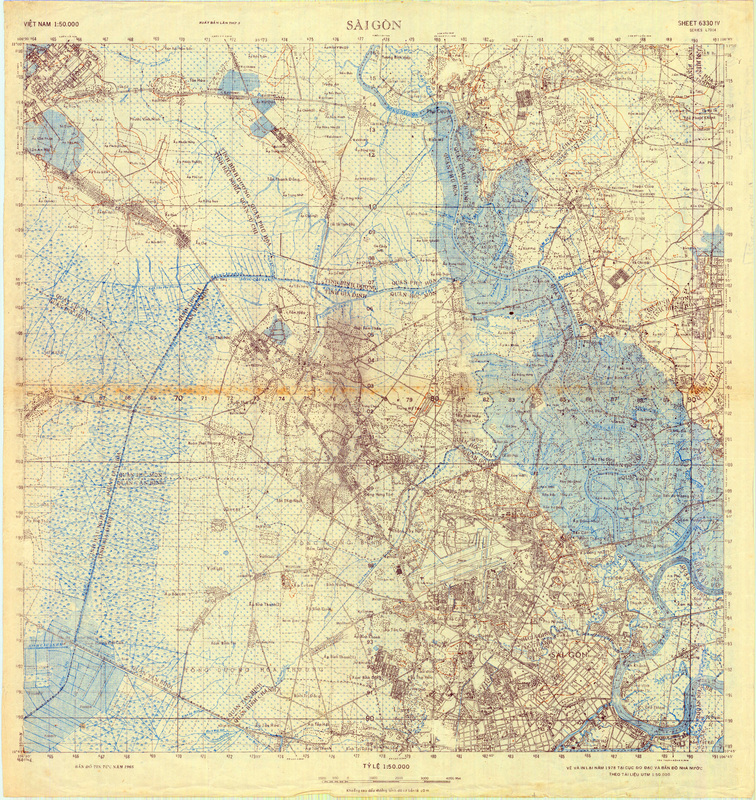 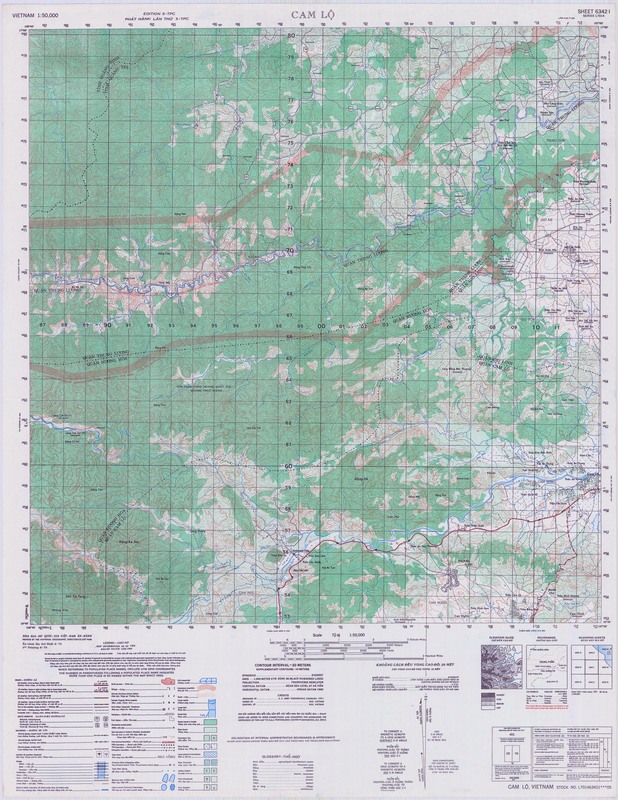 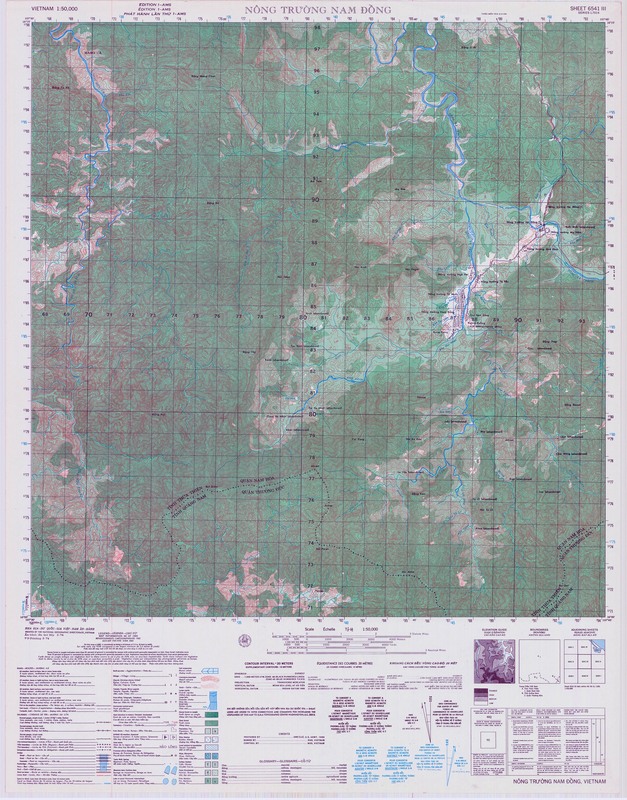 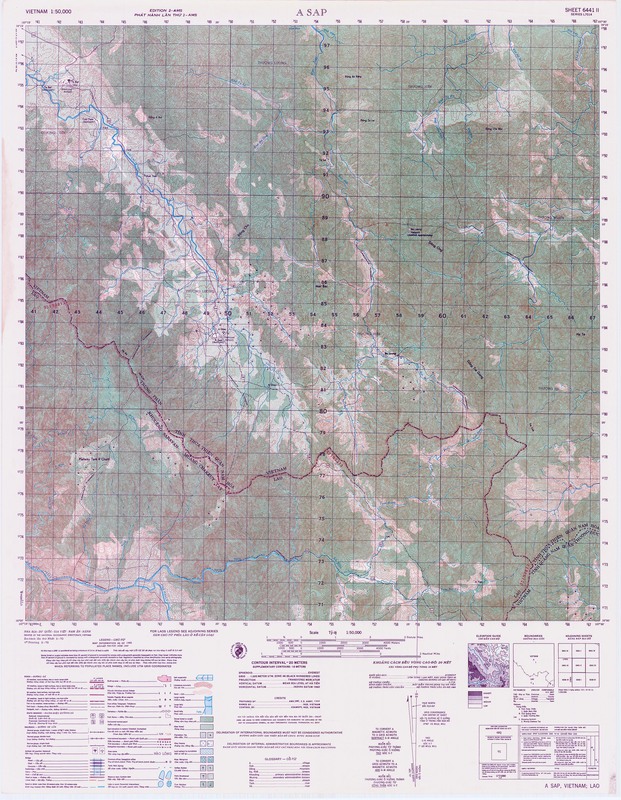 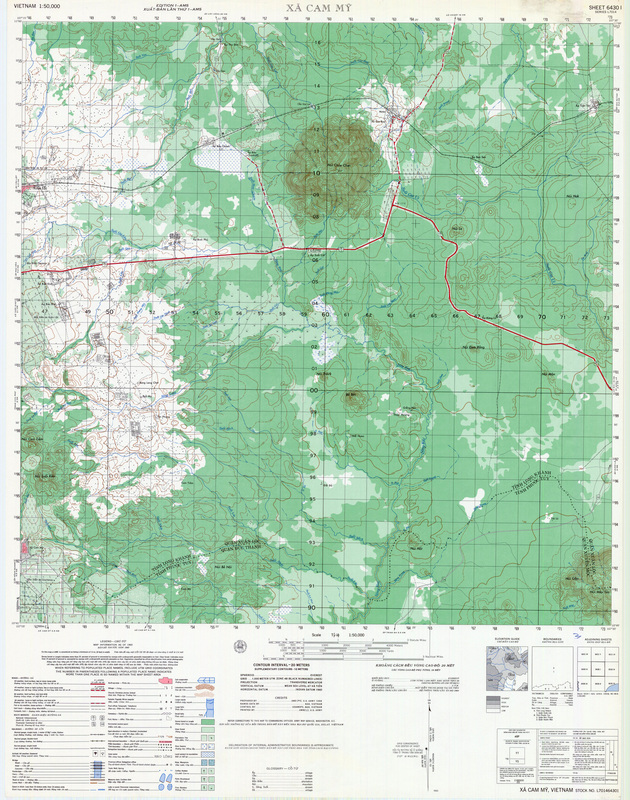 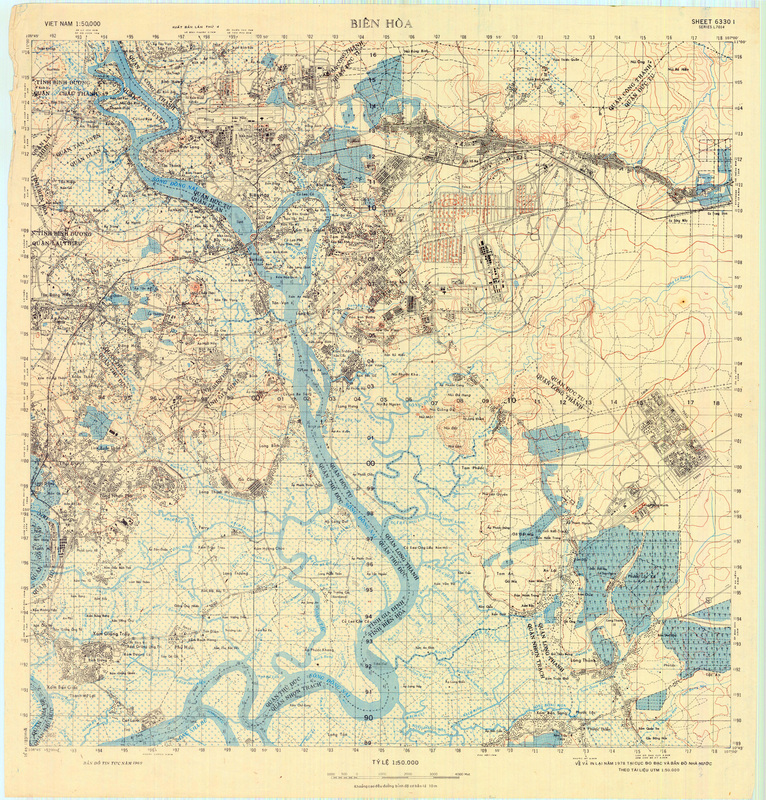 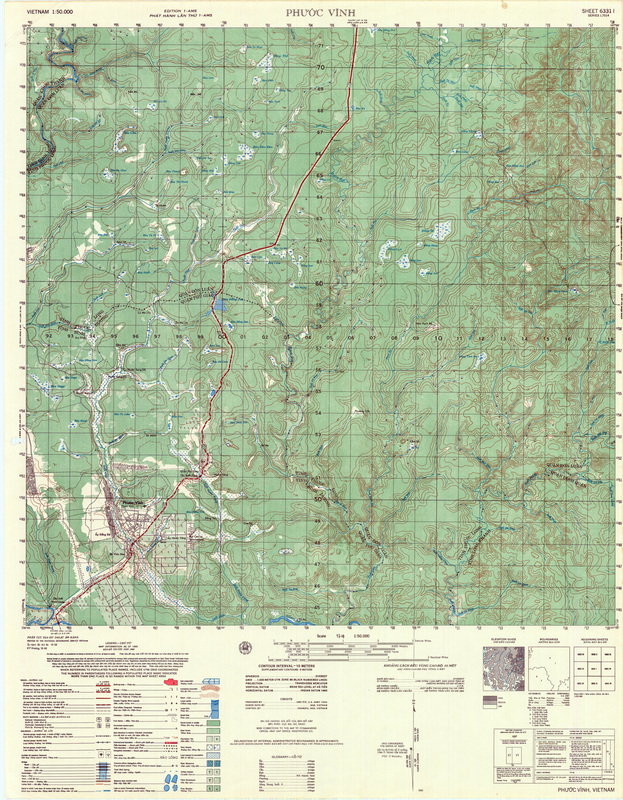 In summer 2008, these maps were available from the U.S. Geological Survey, Box 25286, DFC, Building 810, Denver, CO 80225-0046. 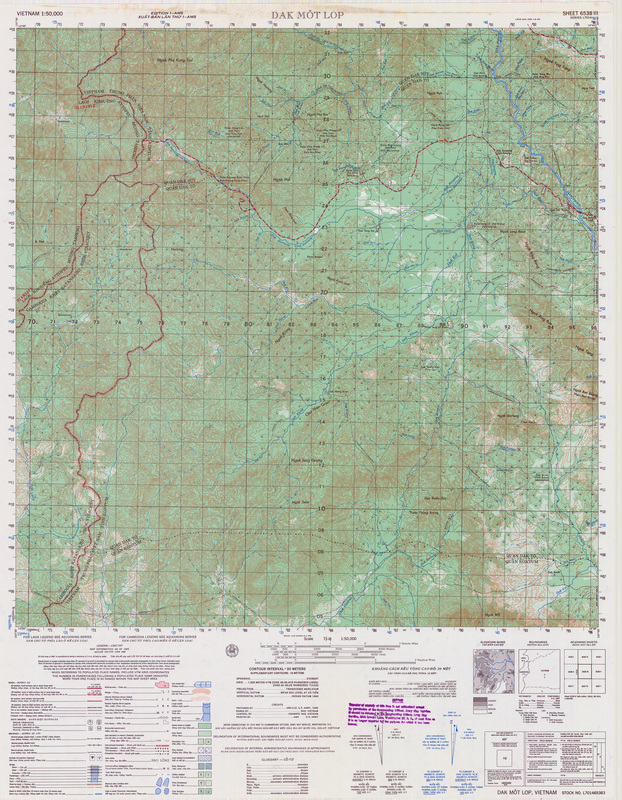 Telephone: 1-888-ASK-USGS. 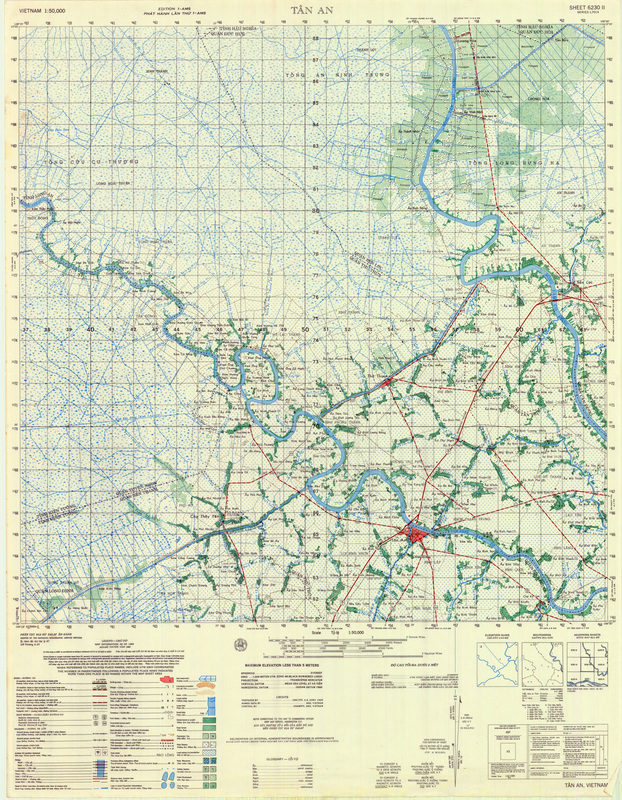 In the map description column are the larger grid zone designators such as YC and YD. 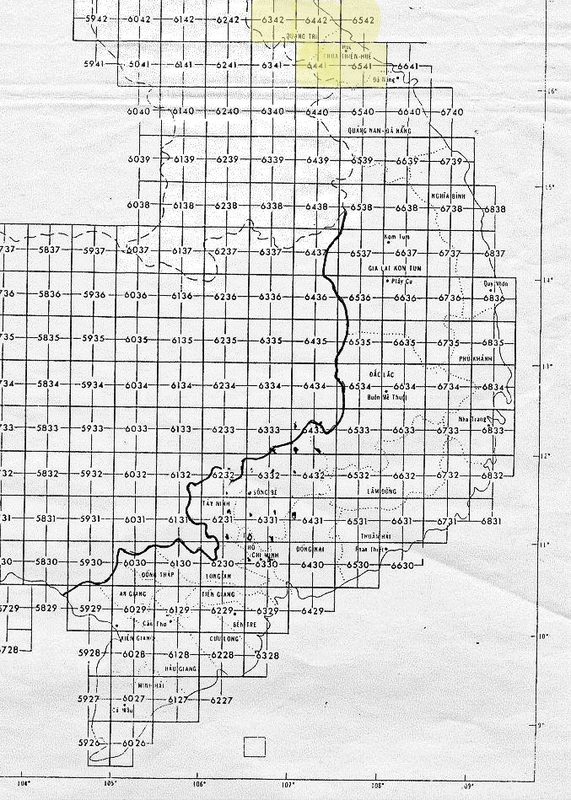 Next are the grids with the lower left followed by the upper right. 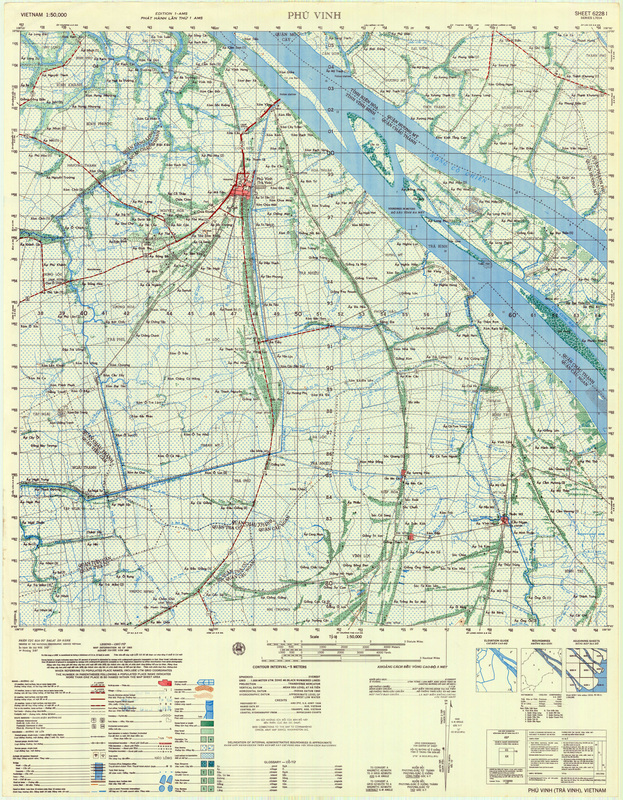 8752 means the 87 north-south grid line intersecting the 52 east-west line. 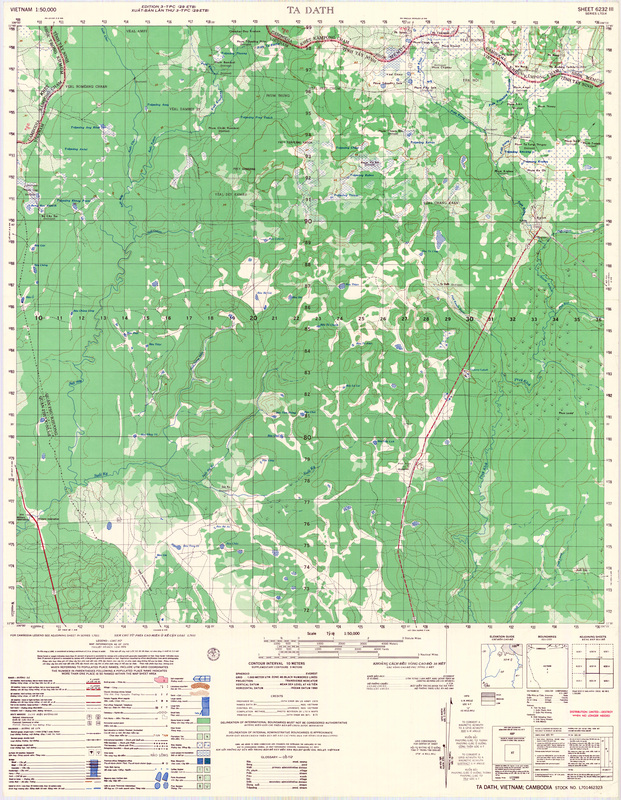 Firebase Currahee is listed at YC 399949. 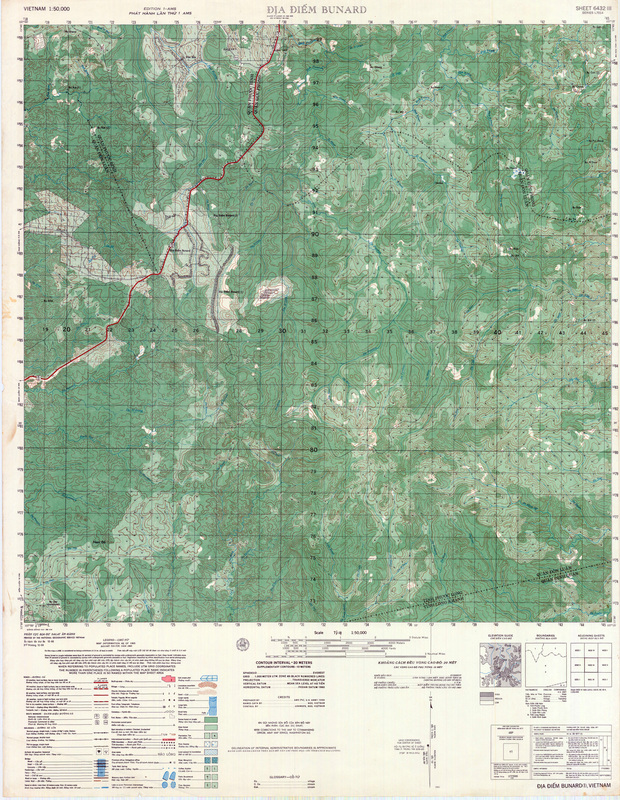 Only the 6441-III map sheet below contains this location.